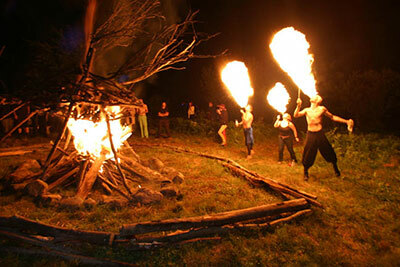 Being a fun event in the tradition of Burning Man, we welcome and enjoy ART THAT IS ON FIRE. How cool is that? Our outdoor location allows us to make and enjoy these things, but of course there are guidelines for building, finding a proper location, and running these things safely. We are a community of makers and artists, so if you reach out with questions and a desire to make cool art, you will likely be able to find people to help with advice, techniques, and collaboration. We have a Fire Art Safety Team (F.A.S.T.) that can provide guidelines and advice. 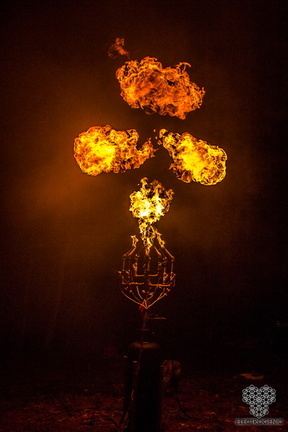 Fire Art must be registered with F.A.S.T by June 25 for you to bring it to Firefly. F.A.S.T must inspect and approve your art at the event before any fire happens. Click here to read a complete discussion of our Fire Policies.